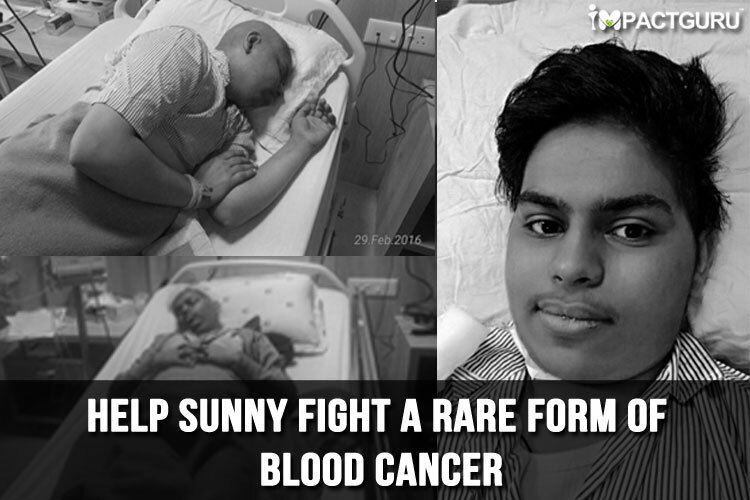 When Sunny entered class 12th he was diagnosed with severe anaemia and his hemoglobin was 4 grams. On further investigation he was diagnosed with acute Lymphoblastic Lukemia a type of blood cancer. We immediately took him to Apollo Hospital Ahmedabad for treatment. The doctor said that he would be cured by 2015 december. Chemotherapy started and all was going as per the protocol. Suddenly his hemoglobin count fell to 4 grams and on doing the bone marrow examination it was found that he relapsed. My family was in shock. The bone-marrow transplant cost us around 20 lacs. We did not have enough funds at that time as we belong to a middle class family. We arranged funds through donations and loan from relatives. What is Hemophagocytic lymphohistiocytosis (HLH) ? It is an uncommon hematologic disorder. It is a life-threatening disease of severe hyper-inflammation caused by uncontrolled proliferation of activated lymphocytes and macrophages, characterised by proliferation of morphologically benign lymphocytes and macrophages that secrete high amounts of inflammatory cytokines. Due to intake of steroids he suffered from FITS, high blood pressure, diabetes, and severe leg pain. He wasn't able to walk. After a few days his bone marrow examination showed graft rejection which was not expected by doctors also. But now doctors are waiting for his bone marrow to revive which can take around 3 to 4 months. Doctor has also started a tablet revolade 150 mg which costs 5500 per day dose. Funds collected will be utilised towards medicines, blood and platelets transfusion and antibiotics. Please help Sunny. Your share could be as good as a donation for Sunny Taneja! Not everyone can afford to take care of their loved ones. Sunny Taneja's life can only be saved by donations made by kind people like you.